As we trudge along the semester and the normal student stress starts to build, I thought I would take the time to compile a list of all the resources that are available to us students on campus. Whether it be academic, emotional, financial, or any other type of support, there is someone here on campus that is ready to help. For the first blog of the series, I wanted to talk about academic support. School can quickly become overwhelming, at times feeling as though you are falling behind while the rest of the class moves forward. That is why it is so important to get the right help as soon as possible. Luckily, there is plenty of support surrounding us students, it is simply matter of accessing and utilizing it. Your Lecturer: The lecturers of the modules are obviously a great first point of contact when you are not quite grasping the material. Lecturers will almost always make themselves available during the lecture breaks and after lectures for short questions. This is a great time to clarify small details to allow you to seamlessly continue to follow the lectures. Lecturers also have office hours where their doors are open to student to come by and ask bigger questions or to simply confirm that you are on the right page. Not enough students utilize this service, myself included, which is a great way to get to know your professors as well. I am guilty of getting to a point in the semester and feeling as though I don’t even know what I don’t understand and therefore feel embarrassed to ask – but this is even more reason to go chat with the lecturers as they might even reassure you that you understand more then you give yourself credit for. 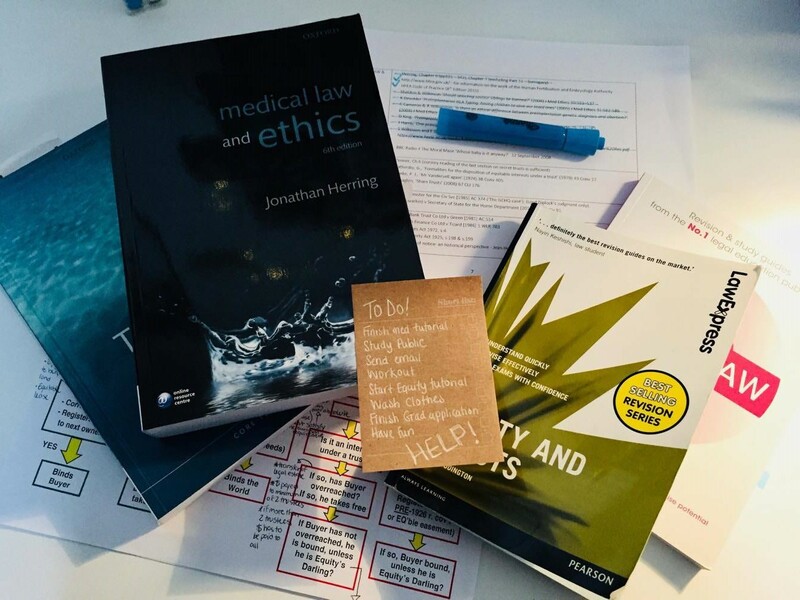 Your Module Tutors: Obviously tutorials are a great opportunity to ask questions and to get a sense of whether you are understanding the material. Just like the module lecturers, the tutors also have office hours where they can offer the same type of help. I find it wonderful that there are often more then one academic attached to a module as getting two different approaches to the same question can be very helpful. Your Personal Tutor: Everyone at Surrey gets assigned a personal tutor as your main point of contact. This person is often an academic of the field you are studying in and therefore can be another person to go to for help. Perhaps they are not involved in the specific module you might be struggling with, however, they may have a different insight on the subject which can be very helpful. The Student Personal Learning and Study Hub (SPLASH): If you need more general help with your studies such as developing your writing or research skills, or becoming more efficient in your studying, then you can head to the SPLASH center at the library where Student Learning Advisers and Information Skills Librarians are ready to help. They offer drop-in sessions, appointments and workshops which allows for various depths of support. Here is the link to their website for more information: https://www.surrey.ac.uk/student-personal-learning-study-hub-splash. The University of Surrey Student’s Union (USSU): For more serious academic support, the USSU is a good place to start. They offers academic advice relating to academic appeals, disciplinary hearings, extenuating circumstances, among other situations. I would recommend speaking to your personal tutor as well if more serious academic issues arise but this is definitely a resource to keep in mind. Here is their page explaining the type of support they offer and the different procedures: https://www.ussu.co.uk/supportz/academicsupport. The University of Surrey International Study Center: If perhaps you are struggling to adapt to the UK style of teaching or are in need of some extra help with your English, then the International Study Center is a place to get you used to the university-style teaching and to develop your academic and English language skills. To find out more, visit their website: http://isc.surrey.ac.uk/international-study-centre. Mentors: There are also certain mentor schemes in place at the University. This allows you to sign up and be assigned a mentor who can help you with smaller problems or questions. The program will often pair first year students with second or third year students who have experience in the program and are willing to help out. They are thus a great resource for questions relating student life and academics. As they have often gone through exactly what you are going through it’s a great point of contact to have. They can also offer you advice and let you know what resources or tricks have helped them get through their program. University of Surrey Law Society: If you are interested in the law program at Surrey then I recommend checking out the University’s Law Society as they offer the mentoring program for the LLB. They also encourage students to contact them for academic advice, offer occasional study sessions and a range of activities such as mooting, interviewing and negotiating, which are great for your CV. Check out their website or send them an email for more information: https://activity.ussu.co.uk/law or ussu.law@surrey.ac.uk. Your Classmates: Sometimes we get so overwhelmed with our readings and tutorials and exams that we forget that our classmates can be a great resource. It can be weirdly reassuring to have a classmate say that they also struggle with a concept and working it out together can be really good for your studies. More often then not, classmates do want to get together to talk out certain questions which offers a great opportunity of getting different points of view and understanding.